Don't you think the brokeback jokes are getting a little old? Dude what have they got to fight about?...Kim? ForeverPink, you're insane! And I DON'T mean that in a good way! You are all insane. Do you people know anything. Kim? Nonsense. 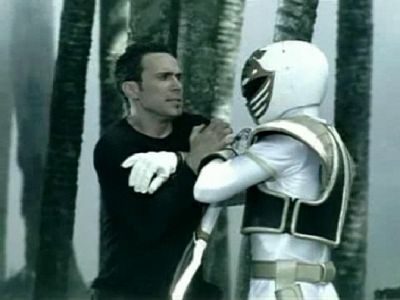 Tommy is in a dream and he has to fight his older ranger selves to get out. duh. Once again, making the picture FUNNY with funny comments! NOT supposed to be an accurate representation of what ACTUALLY happened in the episode! Get a clue already!